Pierro Coffee Machines Established in 1962. First of all Pierro Coffee Machines was established out of the need for a world class coffee machines. Thus at an affordable price. Most of all We have come along way since the heady days of 1962. Consequently Our Alaskan Coffee machine is now world class. Both Reliable with exceptional performance. Probably one of the most reliable machines on the market. Therefore we are very proud to recommend our machinery for almost all requirements. History of Pierro Commercial Coffee Machines. 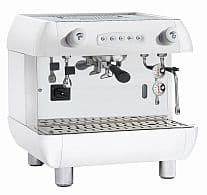 Furthermore Pierro Commercial Coffee Machines are designed for the Australian market Conditions. Most noteworthy is the stainless steel boilers and Group Heads.Hence perfect extraction and endless steam for all those milk based beverages. 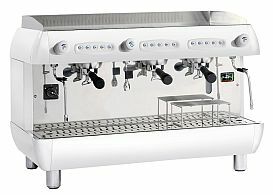 In addition Pierro Commercial Coffee Machines are designed to be long lasting and easily maintained. Therefore you have complete confidence you can run your cafe with no problems. However Should one arise Pierro Commercial Coffee Machines are fixed and up and running in a very short time. 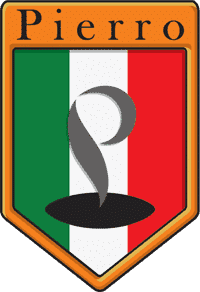 As a result Pierro Commercial Coffee Machines produce 100% pure Italian espresso and are incredibly reliable. 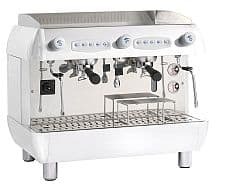 Subsequently Pierro Commercial Coffee Machines not only perform sensationally. Also They look great also. In addition the price tag will not break the budget. Meanwhile Priced at a very affordable Cost making it a perfect investment. Whilst low in cost. And Extremely high in quality. As a result you can start producing a Profit in toy business from date of installation. Especially relevant is Pierro Commercial Coffee Machines combine beauty and high performance. Consequently Suitable in any commercial or workplace environment. Hence Pierro Espresso Coffee Machines are perfect for any Café. Hotel, Club. Restaurant or hospitality environment. Meanwhile our Pierro On demand Grinder is also world class. Fast. Efficient and accurate. Whilst the Pierro Espresso Coffee Machines with stainless their steel boilers produce perfect 100% pure Espresso Coffee. In Conclusion Koffeeone Can Proudly Promote Our Coffee Machines as Premium Quality. Finally We wish to invite you to visit our Showroom to see the machines in action. 1 Group Alaskan Espresso Machine. 2 Group Alaskan Espresso Machine. 3 Group Alaskan Espresso Machine. Pierro Alaskan Espresso Machine Specifications. Almost Pure White Stylish Powder Coat Finish. Mains connection: 240 V single phase. First of all Parker Valves – Same valves as used in 90% of Coffee Machine Brands on The Market. Most of all Advanced Electronics – For ease of Operation and performance and reliability. Most noteworthy Pro Con Water Pump – Same Pumps as used in 90% of Coffee Machine Brands on The Market. Especially Relevant High raised Coffee Groups – You can extract straight into an 8oz,12oz and 16oz Cups. As a result Programming of pre-infusion for all selections of each coffee group is a breeze. In addition Duplicable programming of groups. Furthermore Gicar Flow Meter – Same Flow Metre as used in 90% of Coffee Machine Brands on The Market. Also Non – return valves preventing foreign liquids entering the boiler. Robotic Welded Stainless Steel Boiler ensures perfect pure water without possible contamination. Coffee Groups Brass Cast Head. ( ETL ) protection from over heating Boiler. Heavy Duty pressure Stat Temperature for constant control of steam boiler pressure. 5 coffee product selection buttons, programmable as desired. Patent Hot Water and Steam Knob – operate by pulling forward and by rotation. Automatic cleaning program for coffee brewing groups. Nickel Coated elements for additional fault protection. Individual heat exchangers for each coffee group. Specially Prepared spare Parts Kits for Technicians with Video Support.